A late goal by substitute forward Towhiudul Alam Sobuj enabled newcomers Bashundhara Kings to reach the final of the Walton Federation Cup Football Tournament in their first appearance eliminating Sheikh Russel KC by 1-0 goal in the hard-fought 2nd semifinal at the Bangabandhu National Stadium in the capital on Tuesday. Big-budgeted Bashundhara Kings will play their dream final on Friday (Nov 23) at 5pm at the same venue against defending champions Dhaka Abahani Limited, which made a final berth eliminating three times champions Sheikh Jamal Dhanmondi Club by 4-2 goals in the first semifinal on Monday. 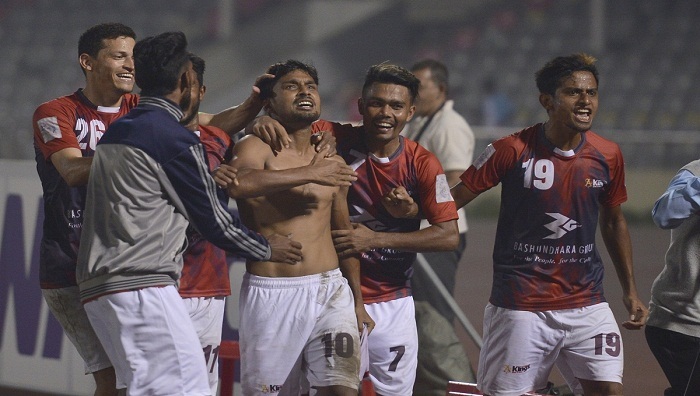 Striker Towhidul Alam Sobuj, who came to the field in the 73rd minute replacing Emon Babu, scored the match winner in the 118th minute after a goalless draw in the stipulated 90 minutes. National star-studded Bashundhara Kings failed to score despite repeated attempts due to confident keeping by Russel custodian Ashraful Islam Rana. Earlier in group matches, Bashundhra Kings emerged Group D champions to reach quarterfinals beating Dhaka Mohammedan SC 5-3, drawing 1-1 with Sheikh Jamal DC and another newcomers Nofel SC in group matches. They finally booked a seat for the last four stage crushing Team BJMC by 5-1 goals. Sheikh Russel KC booked a seat for the quarterfinals as the Group C champions beating Muktijoddha Sangsad KC 2-0 and defeating Dhaka Abahani 1-0 in group matches. Later, they qualified for the semifinals beating Chattogram Abahani by 1-0 goal.